Draft: 1999, San Francisco Giants, Cth rd. July 3, 2018 Acereros del Norte released RHP Jerome Williams. July 3, 2018 Acereros del Norte placed RHP Jerome Williams on the reserve list. May 9, 2018 Acereros del Norte signed free agent RHP Jerome Williams. October 31, 2017 RHP Jerome Williams assigned to Navegantes del Magallanes. November 3, 2016 RHP Jerome Williams elected free agency. July 25, 2016 St. Louis Cardinals selected the contract of RHP Jerome Williams from Memphis Redbirds. June 3, 2016 RHP Jerome Williams assigned to Memphis Redbirds. June 2, 2016 St. Louis Cardinals signed free agent RHP Jerome Williams to a minor league contract. November 2, 2015 RHP Jerome Williams elected free agency. July 21, 2015 Philadelphia Phillies activated RHP Jerome Williams from the 15-day disabled list. July 17, 2015 Philadelphia Phillies sent RHP Jerome Williams on a rehab assignment to Reading Fightin Phils. July 12, 2015 Philadelphia Phillies sent RHP Jerome Williams on a rehab assignment to Lakewood BlueClaws. July 7, 2015 Philadelphia Phillies sent RHP Jerome Williams on a rehab assignment to Reading Fightin Phils. June 17, 2015 Philadelphia Phillies placed RHP Jerome Williams on the 15-day disabled list. Strained left hamstring. 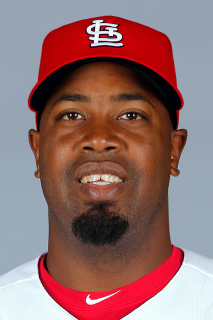 August 12, 2014 Philadelphia Phillies activated RHP Jerome Williams. August 10, 2014 Philadelphia Phillies claimed RHP Jerome Williams off waivers from Texas Rangers. August 8, 2014 Texas Rangers designated RHP Jerome Williams for assignment. July 25, 2014 Texas Rangers selected the contract of RHP Jerome Williams from Round Rock Express. July 12, 2014 RHP Jerome Williams assigned to Round Rock Express. July 11, 2014 Texas Rangers signed free agent RHP Jerome Williams to a minor league contract. July 8, 2014 Houston Astros released RHP Jerome Williams. July 1, 2014 Houston Astros designated RHP Jerome Williams for assignment. February 6, 2014 Houston Astros signed free agent RHP Jerome Williams. December 2, 2013 RHP Jerome Williams elected free agency. July 14, 2012 Los Angeles Angels activated RHP Jerome Williams from the 15-day disabled list. July 1, 2012 sent RHP Jerome Williams on a rehab assignment to Salt Lake Bees. June 20, 2012 Los Angeles Angels placed RHP Jerome Williams on the 15-day disabled list retroactive to June 19, 2012. Respiratory. April 15, 2012 Los Angeles Angels activated RHP Jerome Williams from the 15-day disabled list. April 5, 2012 sent RHP Jerome Williams on a rehab assignment to Inland Empire 66ers. April 4, 2012 Los Angeles Angels placed RHP Jerome Williams on the 15-day disabled list retroactive to March 26, 2012. Left hamstring strain. October 15, 2011 RHP Jerome Williams assigned to Navegantes del Magallanes. August 17, 2011 Los Angeles Angels selected the contract of RHP Jerome Williams from Salt Lake Bees. June 20, 2011 RHP Jerome Williams assigned to Salt Lake Bees from Los Angeles Angels. June 19, 2011 Los Angeles Angels signed free agent Jerome Williams. June 17, 2011 Jerome Williams elected free agency. June 16, 2011 RHP Jerome Williams assigned to Salt Lake Bees from Los Angeles Angels. June 15, 2011 Los Angeles Angels signed free agent RHP Jerome Williams to a minor league contract. December 8, 2010 RHP Jerome Williams assigned to Aguilas de Mexicali. November 11, 2009 RHP Jerome Williams assigned to Gigantes de Carolina. November 9, 2009 RHP Jerome Williams elected free agency. May 21, 2009 Sacramento River Cats activated RHP Jerome Williams from the 7-day disabled list. May 14, 2009 Jerome Williams roster status changed by Sacramento River Cats. May 4, 2009 Sacramento River Cats signed free agent RHP Jerome Williams.